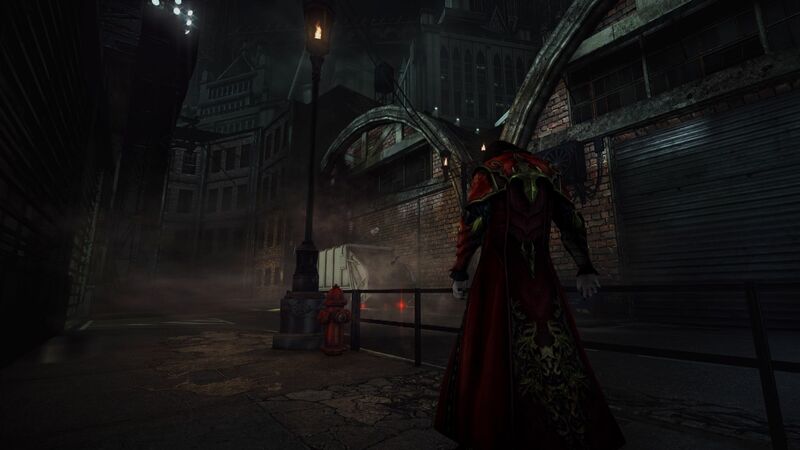 By this point, Drac's gotten his groove back so he's free to wander the modern Castlevania city. 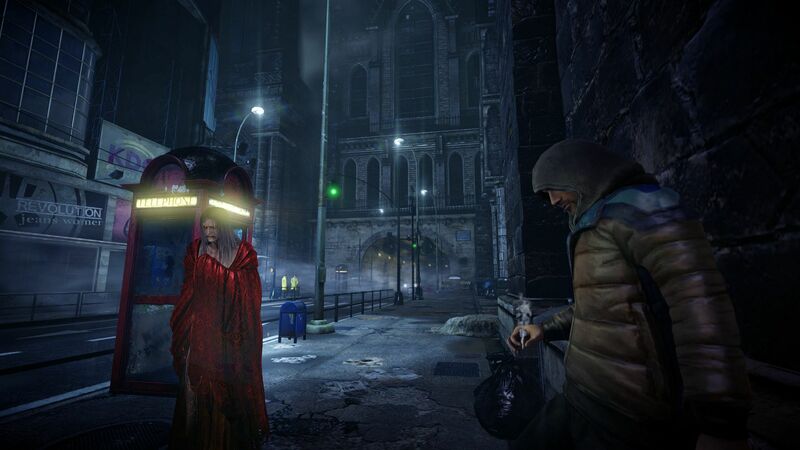 Though Lords of Shadow 2 features a modern setting, the world Dracula inhabits doesn't resemble any real-world city. 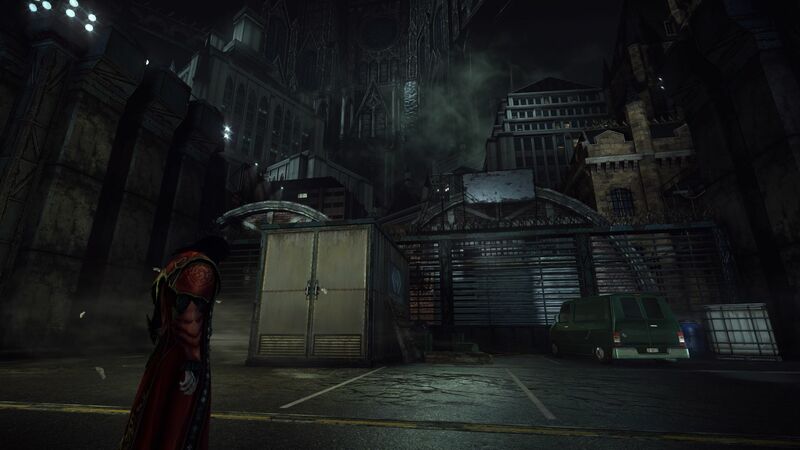 Instead, Dracula stalks an world that would be described as post-apocalyptic in almost any other context: Twenty-first century features like buildings, factories and roads that are plugged into the ruins of Dracula's castle, kind of like grass growing through cracks in a sidewalk. At the point we've dropped into, Drac has already picked up the ability to transform into mist, opening up new areas. 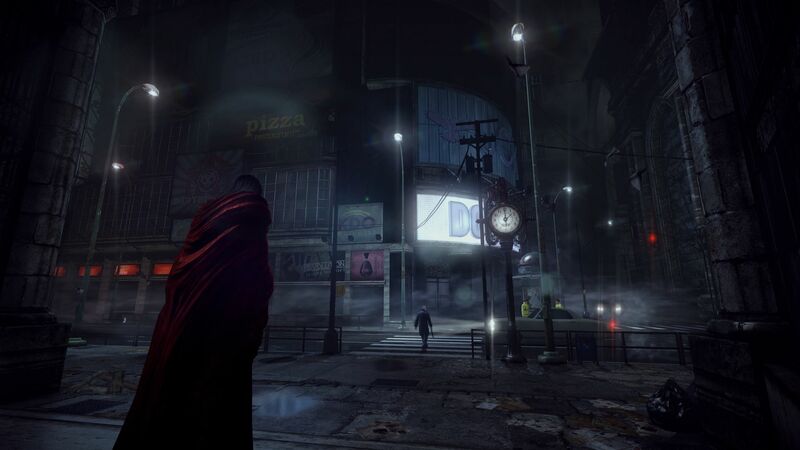 In addition to its classic use - phasing through grates and other sets of bars - Dracula can cross be blown across large gaps by turning into mist while standing next to a large fan. 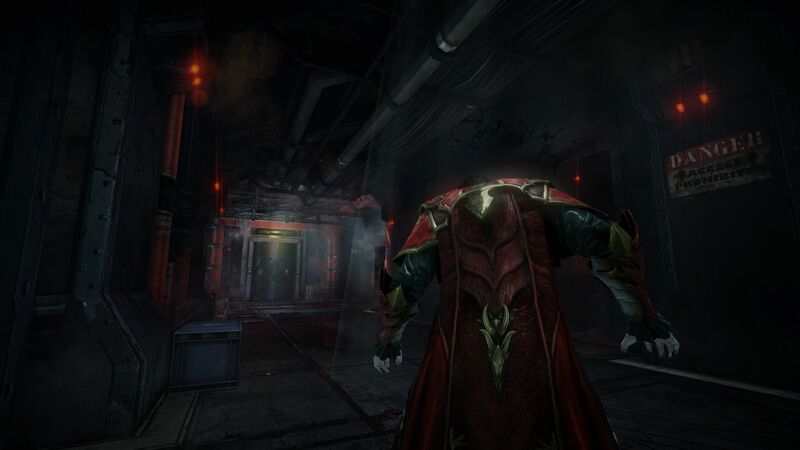 While running around stumbles on... Well, at least they look like robots, giving Dracula gets a chance to show off his more fully realized arsenal. 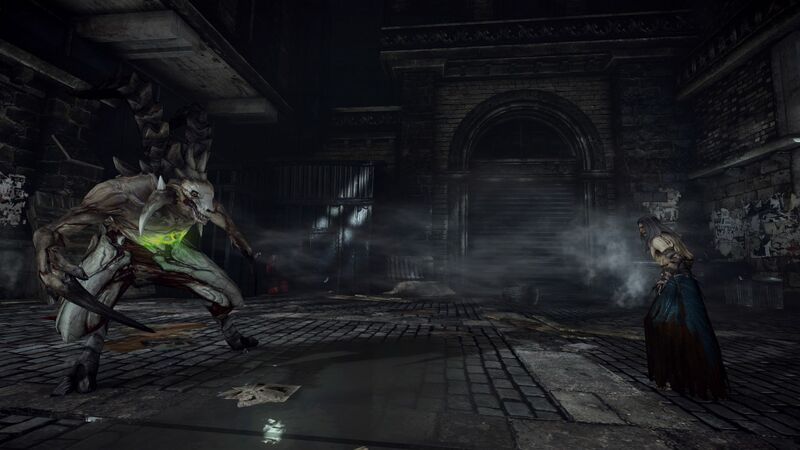 The mist form, for example, has some practical application in combat, letting players phase through enemies to dodge their attacks. 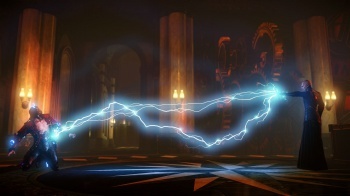 In addition to learned skills and combos, Dracula can collect single-use potions like Stola's Clock, which slows times for enemies, and the Enraged Demon potion, which fills up his magic meter. 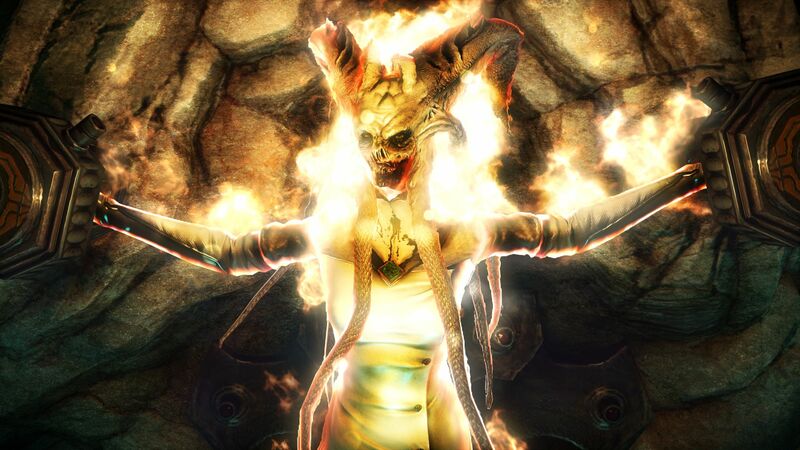 After toying with them for a while, Drac decides to finish his opponents off, so he activates a talisman - another single-use item - to transform into a giant dragon and wipe everybody out. 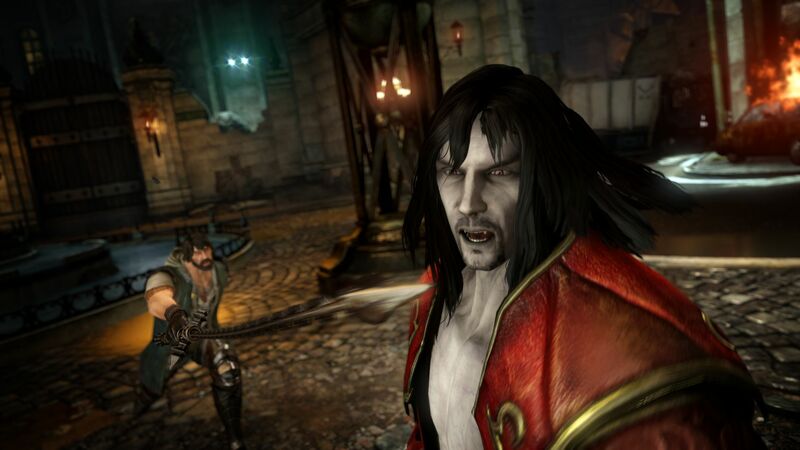 Though the game seems incredibly combat-heavy, it does occasionally rely on puzzle-solving to break up the action: In addition to looking for players to use abilities creatively, a story-intensive narrative puzzle - Players are asked to use puppets to tell the re-enact of the Toymaker, a victim of Dracula's past villainy, based on the story being told. 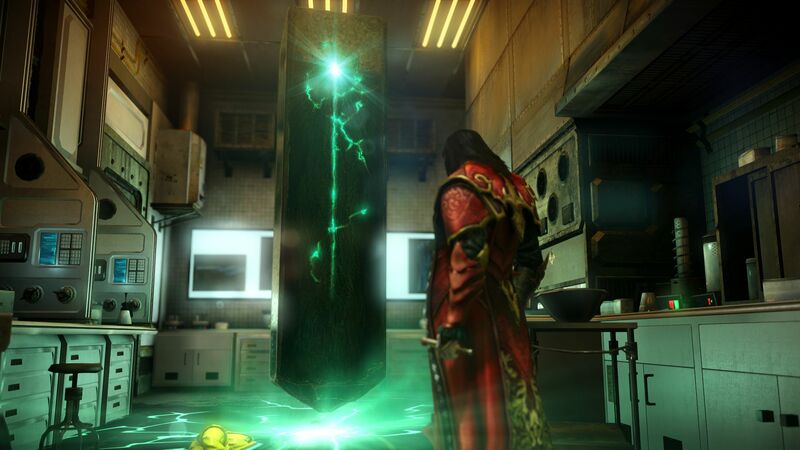 It explains the two characters' relationship just in time to prompt a very traditional multi-stage boss fight. 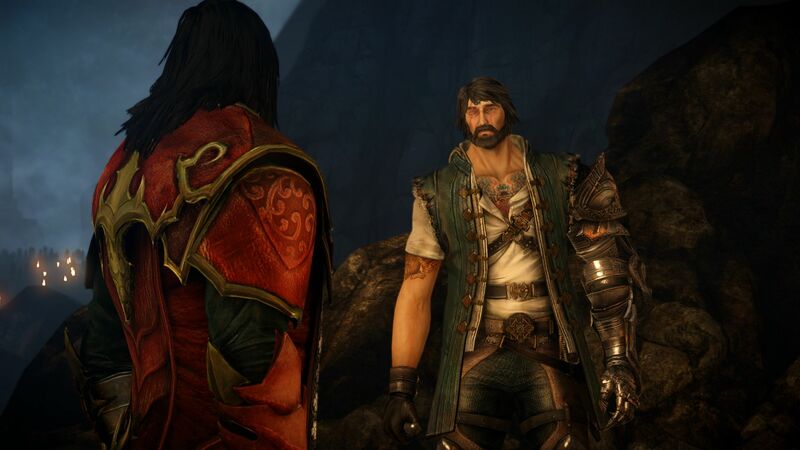 Even with a brand new setting, Lords of Shadow feels familiar: At its best, the game feel comfortable and engaging, but 20-hour games will likely feature its share of low-points, and those will probably get dull very quickly. 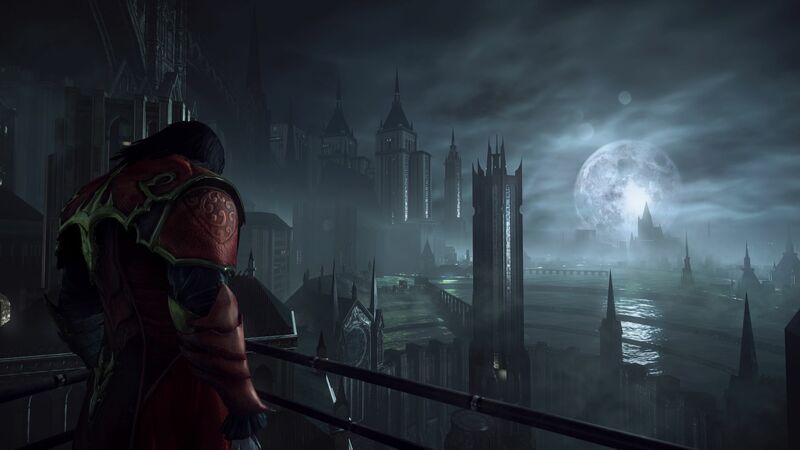 With only two months left to go, it's still hard to say whether or not this game achieves a 3D Metroidvania experience worthy of a series that spawned the term. 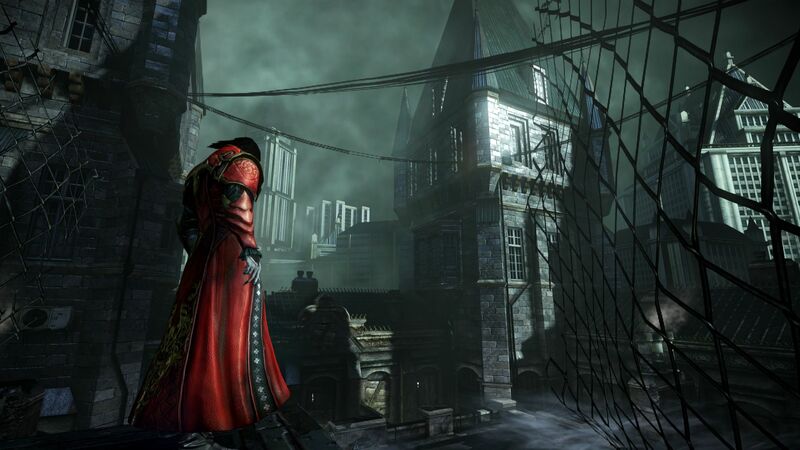 For now, the safe assessment is; God of War + Tomb Raider = Castlevania: Lords of Shadow 2. 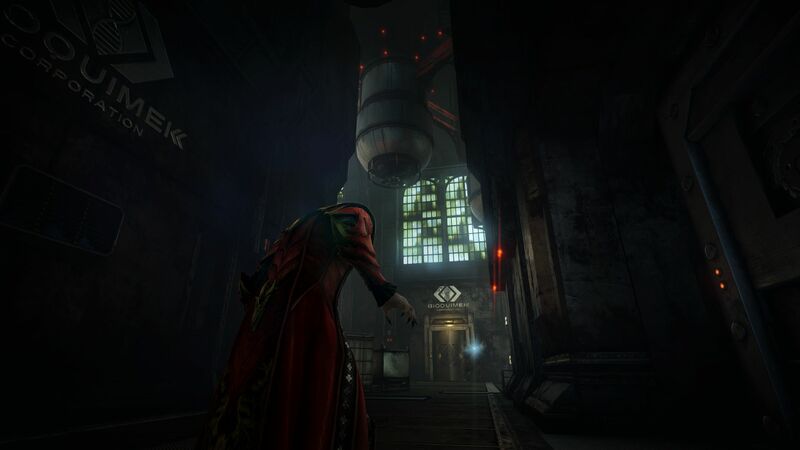 If that formula sounds appealing, then this is a game worth getting excited about. Intrigued? 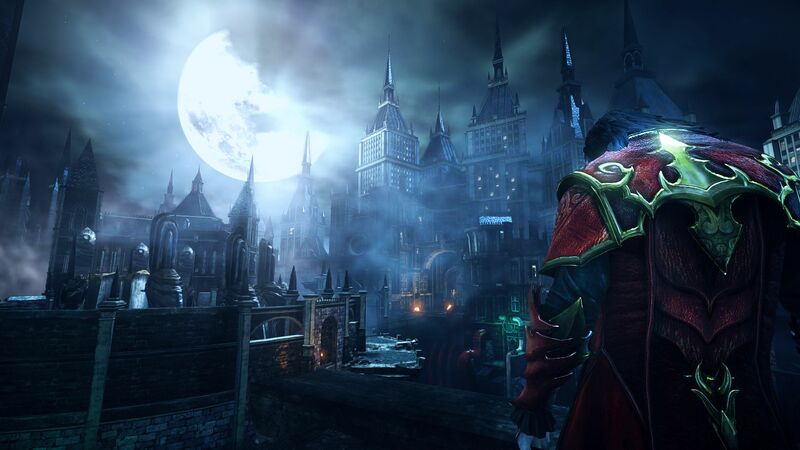 Check out our interview with Producer Dave Cox for the inside scoop on Castlevania.